Copyright © Geographic Guide - Asia. 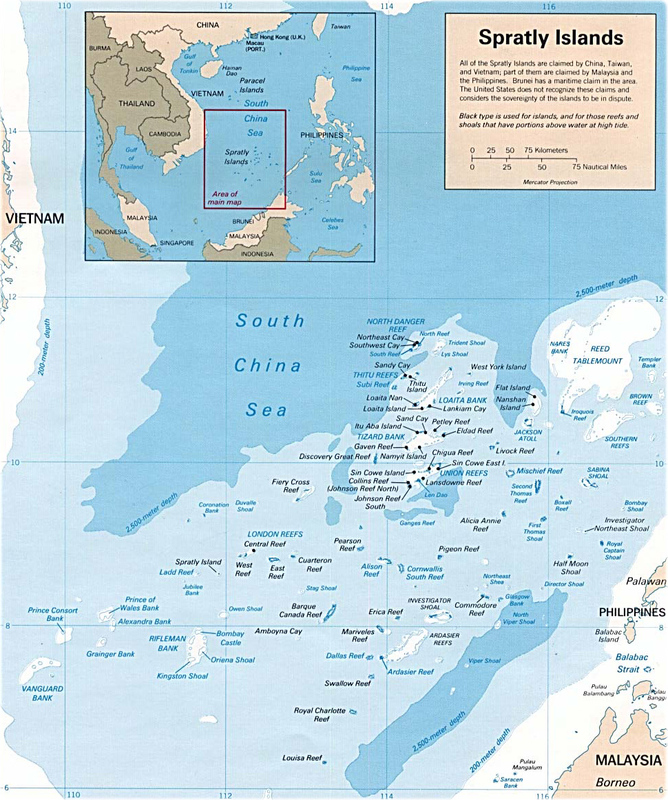 Malaysia, Karte (Kartografie), Mapo, Kartta, Carte géographique, Peta, Léarscáil, Mappa. Loaita bank, Flat island and Ardasier reef. 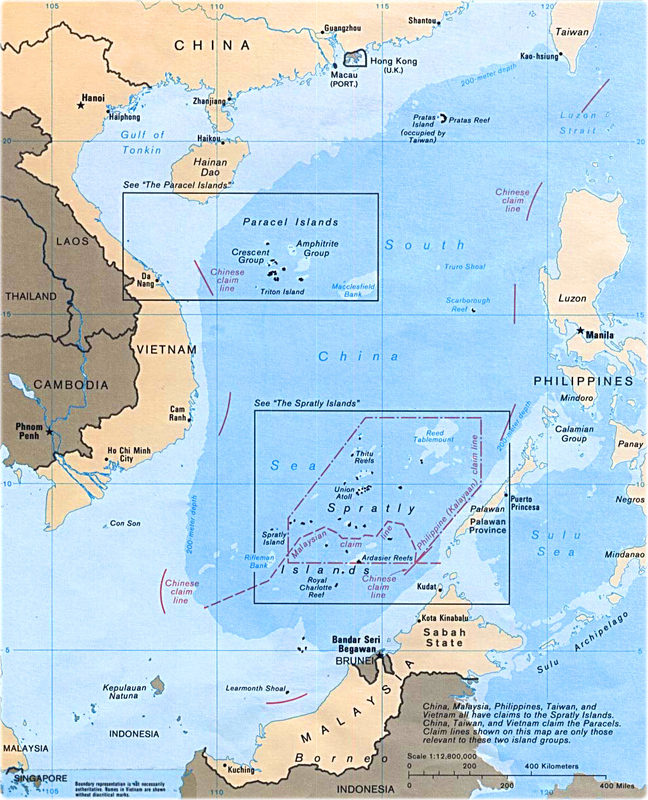 Map: U.S. Central Intelligence Agency, 1988.